Persian New Year: why & how we celebrate Nowruz - Isfahan Tourist Info. The Persian New Year is called Nowruz or Eid Norooz. 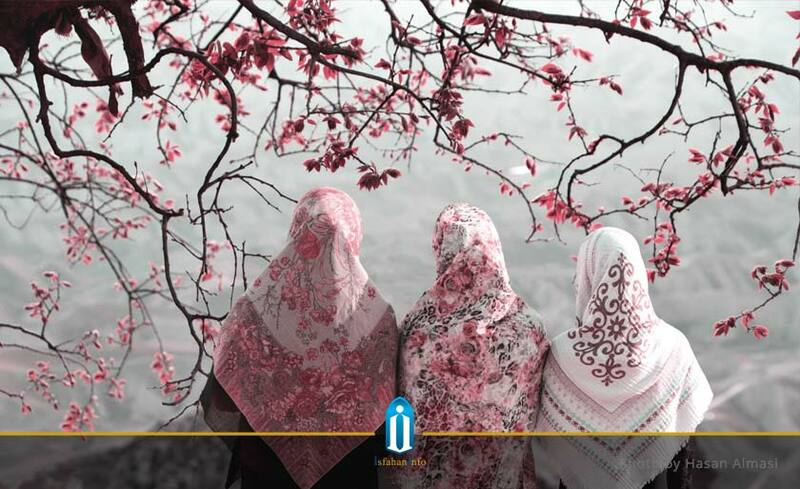 In Iran, the beginning of the year is celebrated when winter changes into spring. Actually, international day of Nowruz is not only celebrated in Iran. It is celebrated in many countries all around the world. It is one of the most ancient traditions in the history. ”Now” is a Persian word for new and ”Ruz” for day which makes Nowruz literary meaning new day. In other words, the first day (Nowruz day) of the new year. When is Persian New Year? The exact day, hour and minute that the sun crosses the equator (about march 21) is the moment that family and friends gather around “Haft Seen” to start the new year in the presence of their loved ones. Persian spring starts with a chance of renewal for everyone. Persians consider Nowruz celebration as a symbol of rebirth. About three weeks before the every Nowruz. The traditional act of Khane Tekani (literally meaning shaking the house) takes place. During spring cleaning Persians clean every corner of the house. As we all know, cleaning the house might not be a big deal. But it is actually for the sake of having a completely fresh start. Iranians start the New Year not only with a clean and reorganized house but also with a clear mindset. Buying new clothes is also a similar act that is done before Nowruz. On the last Wednesday of the Iranian new year, to mark the end of the year and hope for a bright new year. Crowds of people sing and dance until the midnight under the lightened streets and squares of Iran to celebrate the Last Wednesday of the year. 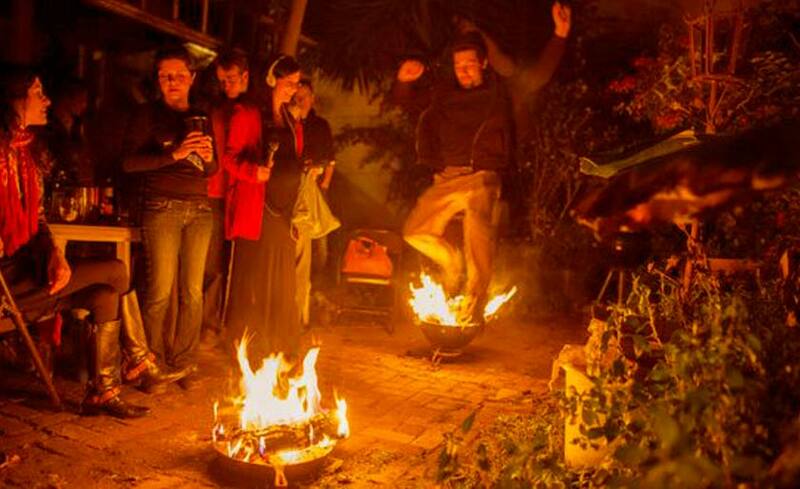 Did you know that there used to be a tradition like Treat or Trick on Chaharshanbeh Suri? 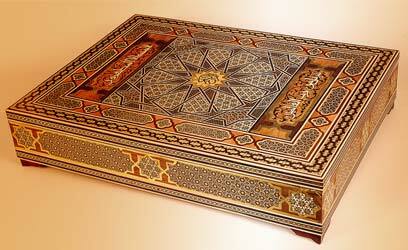 Nowruz haft seen (seven “s”) is a table with seven significant items set on top of it. 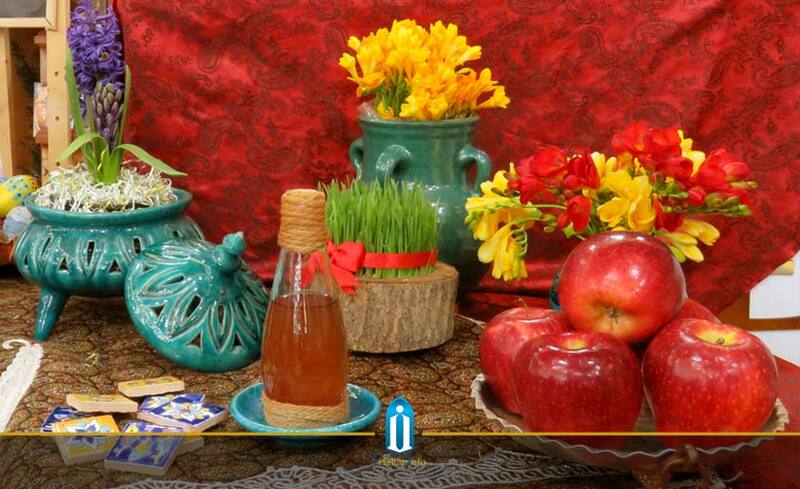 Setting this table is one of the main customs of Nowruz. Hafez’s book of poetry. Hafez is the famous national poet and prose narrator known among Persians. 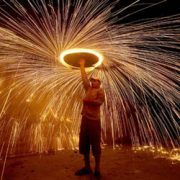 One of the main traditions of Nowruz which defines the whole lifestyle of Iranians is the act of Eid didani. Eid didani (visiting relatives) happens mainly throughout holidays. Families invite other families over to their house. They welcome the guests with all kinds of sweets, nuts and seasonal drinks. Gift buying and giving is one of the traditions of Nowruz. Beautiful and mindful gifts are exchanged between family and friends. The first meal served on new year’s day is Sabzi polo Mahi. Sabzi polo, a special Persian New Year food, is a kind of rice mixed with dried vegetables. Mahi is Farsi/Persian for fish which is seasoned and served with the rice. Also, in some regions of Iran Ash is served as a traditional Nowruz food. The first five days are the official Nowruz holiday and the 13th of Farvardin (first month on the Persian calendar) is the last day of Nowruz. Iranians celebrate the last day of Nowruz with a family picnic. 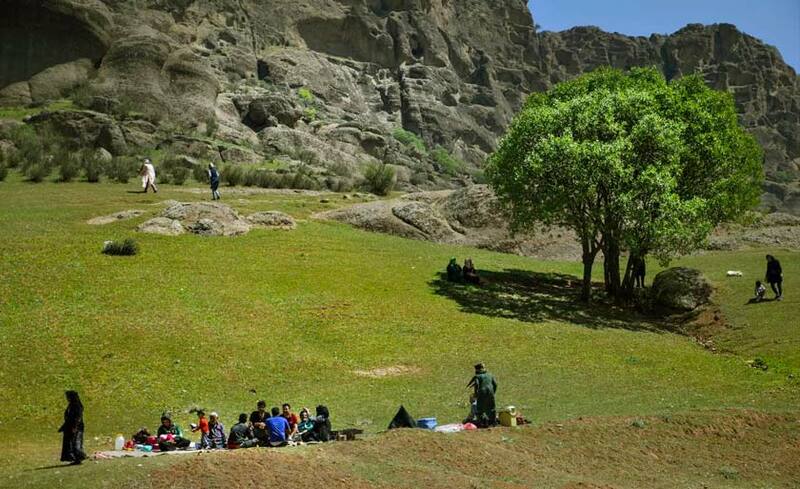 They pack up a big picnic for a meal in the great outdoors. Today, this day is also called the nature day. Iranian believe that there is a curse that has been put on the 13th day of Nowrooz. It has been said that, the curse can be broken with spending this day out in the nature with family and friends. According to the U.N. Nowruz promotes values of peace and solidarity between generations and within families as well as reconciliation and neighborliness. Want to Know How to Say Happy New Year in Farsi? Would you like to learn more phrases in Farsi/Persian?